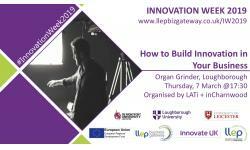 The team at inCharnwood is pleased to announce that in partnership with LATi Ltd an event is being held in Loughborough as part of Leicester Innovation Week 2019. 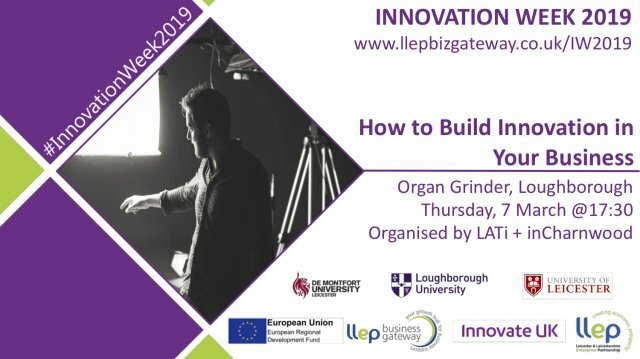 How to Build Innovation in Your Business will take place on Thursday 7th March from 5.30pm to 7.30pm at the Organ Grinder in Loughborough. Miles Latham, managing director of Affixxious Films, will talk about the company's journey from 'small beginnings' to a being a multi-award winning production company with a truly impressive client list. He will cover their ethos of "pushing the envelope in ways that not many other people dare" and explain how the use of innovation has led to business success. 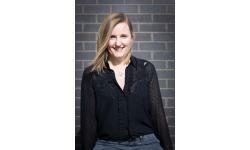 There will also be short talks by Gillian Hunter of LATi Ltd and Chris Grace of Charnwood Borough Council about how their organisations are supporting innovation in the Charnwood area.